Ever plugged in your phone to charge it up and thought ‘I could really do with one of these for myself’? You know how it is – it’s been a long week, the weather’s getting worse outside, the day is dragging and the clock seems to be perpetually slowing down. The mid-afternoon slump hits hard and you’ve already maxed out on caffeine for the day. Well quit your pining, as the world’s first ‘human charging point’ is being unveiled today, September 7, in a bid to give workers a boost when they need it most. The kiosks will be launched next to Canary Wharf tube station in London, and will open for just one minute, starting at 2:58pm – the time Brits apparently need a break the most. 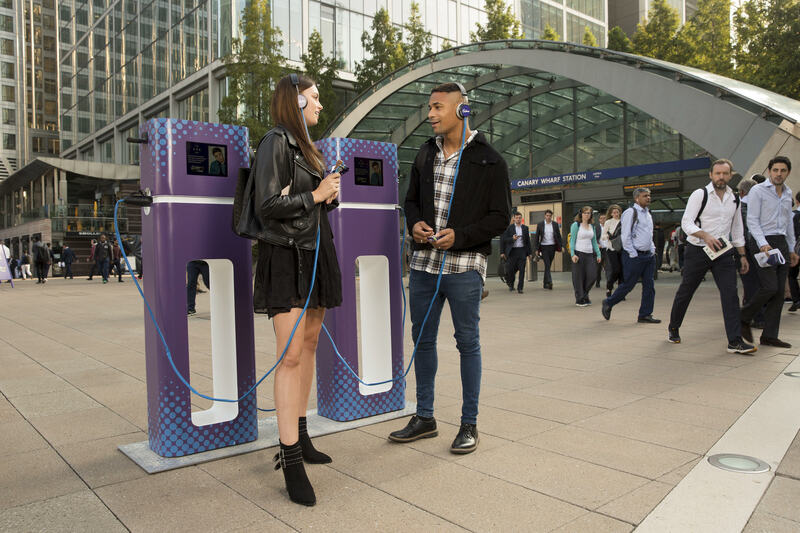 Each Human Charging Point will contain headphones to give you the chance to take one minute out of your day before heading back to work. According to research conducted to coincide with the launch, 85 per cent of Londoners say they face a lull in the afternoon – and more than one-in-four say that chocolate is what helps to get them through the afternoon slump. As such, free Cadbury’s Boosts will be given away, as well as visitors being ‘supercharged’ with wisdom and motivational talks from Capital FM’s Roman Kemp. I have to get up ridiculously early for my radio show, so I know more about the afternoon lull more than the average person. And Cadbury Boost is the perfect way to make the most out of your afternoon. 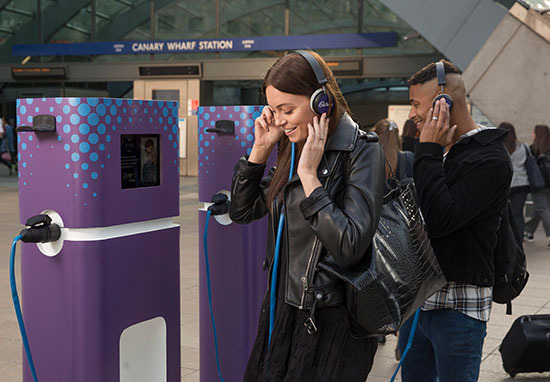 If you are facing the lull then get yourself down to the Cadbury charging points at Canary Wharf for a much needed boost. Most of us experience the afternoon lull, which is the time of the day we could do with a boost the most. We know people want to feel re-energised – physically or emotionally – so we wanted to do something to help them take on the rest of their day. We’re looking forward to seeing Londoners come down for some much needed boost-time, and to try our new Boost + Protein. If you’re worried about what the chocolate might do for you health-wise though, fear not. A recent study has shown that – in moderation, of course – chocolate is actually pretty good for you. Research suggested that consuming up to three bars of chocolate a month cuts a person’s risk of heart failure by 13 per cent, compared to those who stay away from the stuff altogether. Heart failure affects over 900,000 Brits and there’s currently no cure. But researchers claim natural compounds found in cocoa, called flavonoids, help blood vessel health and reduce inflammation. Moderate dark chocolate consumption is good for health. However, chocolate may have high levels of saturated fats. Therefore, moderate consumption is recommended. As if we needed another excuse!